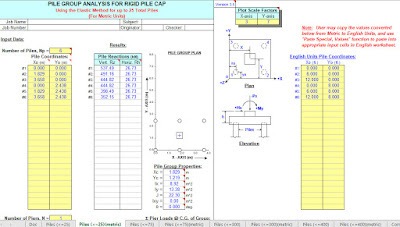 Pile group analysis spreadsheet program written in MS-Excel for the purpose of analysis of pile groups with rigid caps using the "elastic method". Specifically, the properties of the pile group are calculated, and then based upon the applied vertical and horizontal loadings, the vertical and horizontal pile reactions are calculated. 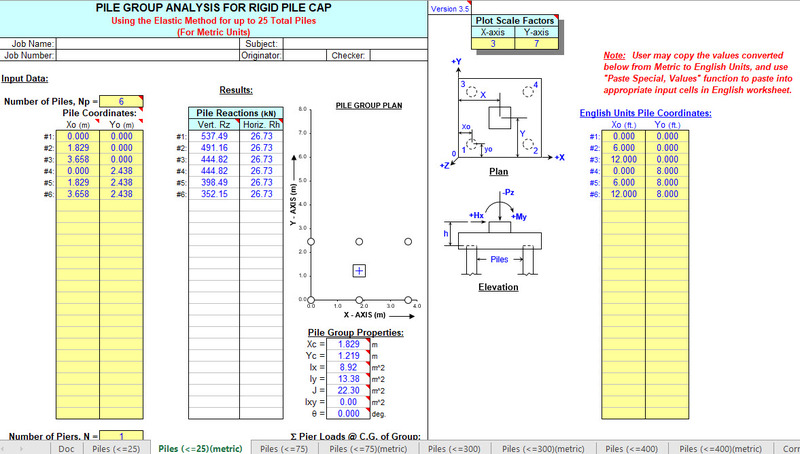 There is also a worksheet to check beam and punching shear in the pile cap for a single corner pile, for the purpose of estimating the required pile cap thickness and subsequent pile cap weight.